Searching for a New Home? SELLING YOUR HOME? Ron has successfully assisted buyers and sellers throughout the South Bay and Palos Verdes peninsula with their real estate needs for three decades. As a Realtor and a licensed broker, Ron holds the prestigious CRS designation (Certified Residential Specialist), the highest earned award from the National Association of Realtors, held by less than 3% of the brokers and agents nationwide. Ron also holds the ABR (Accredited Buyer Representative) and e-PRO Designations. Selling your home is one of the most important financial events of your lifetime. As your broker I want to help you obtain the maximum price within the time frame you need to sell. Doing this requires expertise, experience, and business strategy in marketing and negotiating as well as professional handling of all details throughout your escrow. 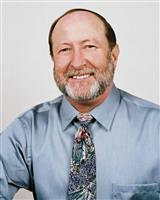 I have been one of the top producing Realtors in the South Bay for more than 3 decades. With my proficiency in social media I am able to market your property for maximum visibility. Beginning with our initial meeting we together determine the type of home, location and your price range. I will then preview the best properties that fit your needs. Because of my large network I become aware of many properties before they reach the market. Once we find the right property my expert negotiating skills will help you obtain the best price. From Palos Verdes Peninsula on the South end, Palos Verdes Estates, Rancho Palos Verdes, Rolling Hills, and Rolling Hills Estates, up the coast to Riviera Village, reminiscent of the European Riviera, to inland cities including Torrance, along the coast to Redondo Beach for healthful living, to Hermosa Beach known for sports and entertainment; and to Manhattan Beach with its award winning schools, and to the north El Segundo, world headquarters for companies from technology to entertainment.